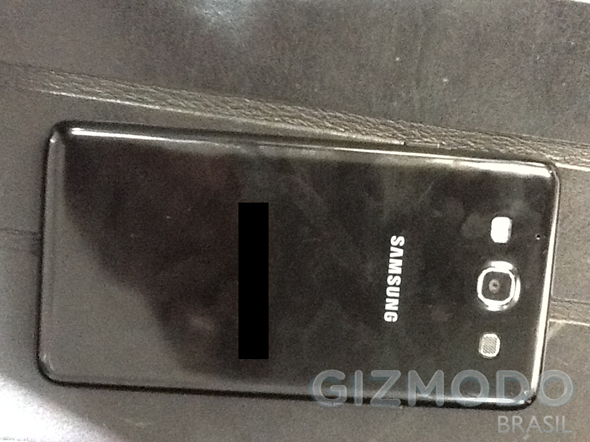 Newly leaked photos of what appear to be the upcoming Samsung Galaxy S III have found their way online, with two shots showing up. Apparently taken by an iPad, the shots aren’t of the best quality, but they do potentially give us a sneak peak at the handset that Samsung is set to announce in the first week of May. Samsung’s upcoming announcement on May 3rd is widely believed to be the third-generation Galaxy S smartphone, and it cannot come soon enough. With rumors, leaked photos and speculation all coming on a seemingly daily basis, the Galaxy S III is beginning to reach iPhone-like levels of anticipation. 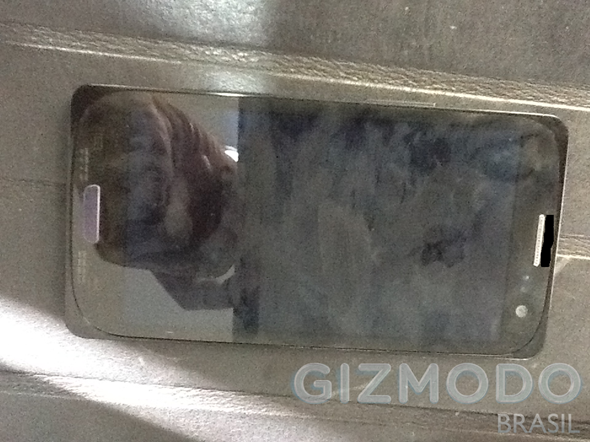 With all that in mind, we have a new set of supposed spy shots of the Galaxy S III, this time from Gizmodo’s Brazilian arm. With the photographer apparently confident that this is indeed the phone we are waiting for, the only real question now is whether they are correct or not. The handset itself does seem to resemble images we have seen before, and it is expected to be thinner, yet heavier than its predecessor. Throw in a 12-megapixel camera for good measure and you are pretty much spot on to what we expect the Galaxy S III to be. Assuming that May 3rd announcement is indeed for this handset, then we won’t have to wait much longer to find out. One possible reason to suggest that this may not be the Galaxy S III though is that model number that it possesses. The GT-i9300 was believed to be the Galaxy M according to reports, which would obviously mean that this is not the handset we hope it is. That said, when you have two sets of rumors going head to head, there really is no real way of knowing which ones to believe. The Samsung Galaxy S III is expected to give Android another super-phone to do battle with whatever Apple has up its sleeve for 2012. With the iPhone 5 not expected to be released for another six months or so, Samsung has a good head start on its big competitors, and with the Android platform going strong it will be hoping to beat out companies like Motorola and HTC, too.